The star of KFWE shines brightest in LA! In case anyone has read this blog for the past month, I have trumpeted the upcoming KFWE events in both NYC and LA. The NYC event went off without a hitch, a truly improved version over the past few years, and I had much hope for the LA event, as last year – it was the star of the shows. Last year – David Whittemore, Marketing Director at Herzog Wine Cellars, and Joseph Herzog, CEO of Herzog Winery made the leap from the Hyatt Regency to the swanky Hollywood W – and by doing so they raised the stakes and added the VIP, the best overall VIP I have been to so far, food and wine wise anyway! But that was so 2015! In 2016, they had to double down – and they went with the newly rebuilt and classic/classy Los Angeles experience – the Petersen Automobile Museum! The Petersen, as it is known around LA, has just completed a $125 million restoration and expansion of its building, and if you look at it from outside, all I can think of is a classic chrome car with blazing red tail lights – which is all you see from the speed demon, as it leaves you in its dust! The upper deck (AKA Penthouse), is where the VIP session was this year, and where the trade session was earlier in the day. The overhead aluminum red streaks that crown this massive beauty, instill in me an idea of a red streaking roller-coaster, but beyond that – I can only stand in awe of the madness and sheer beauty that it bestows upon this chrome Hollywood stalwart. 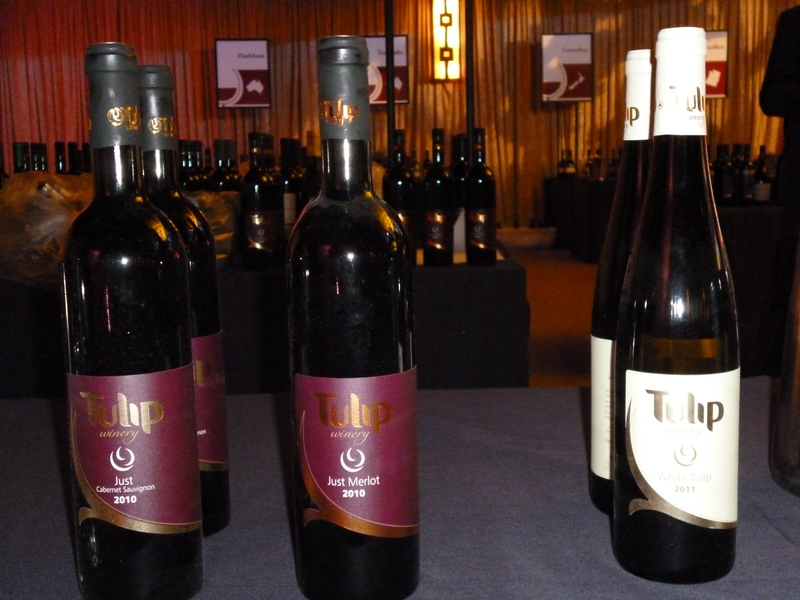 I will keep this short and sweet – the 2014 kosher wine events are all in and will start selling out VERY soon. The first one you MUST jump on is the 2014 Kosher Food and Wine Festival (KFWE) at Pier 60, Chelsea Piers, in New York City on February 24, 2014. It literally sells out each and every year, and all the procrastinators complain to me bitterly, about how they cannot get in – well BUY YOUR DARN TICKETS and they are 20 dollars off still. I did not get a coupon this year, but you can use the Kosher Wine Society’s coupon (KWS20). The next one to get on is the International Food and Wine Festival in Los Angeles, CA IFWF on February 26, 2014 – check my blog posting for more on that. The next wine event is the Grapevine Wines Grand Tasting for Sunday March 2nd, 2014 at the Grapevine Wines shop in Monsey, NY. The tasting is from 5:30 – 8:30 PM, it is the 15th Year anniversary of the Kosher Wine store. The wine event will take place at 455 Route 306 Wesley Hills, NY 10952, 845-364-9463. Ask for Yehoshua Werth. 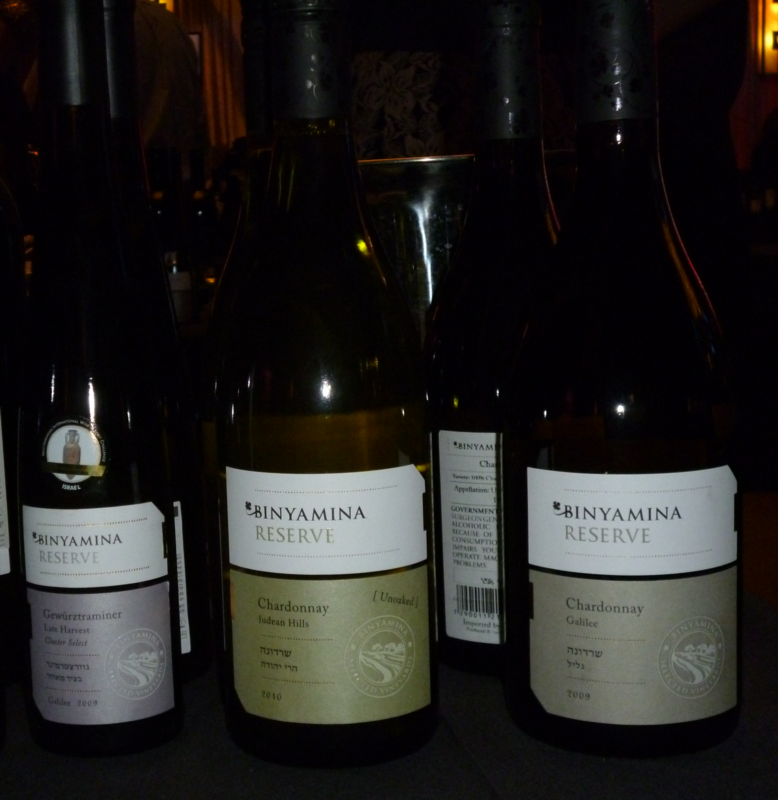 The next one is the return of the Gotham Wine Extravaganza, that took a year off last year – but is back and ready to go! The date is set, for Sunday March 23rd. As I have reported for the past many years, Gotham throws a crazy wine tasting with an array of wines unmatched by any other kosher wine tasting event, as there are wines from all of the kosher wine importers. I hope that anyone in the New York City can make it. 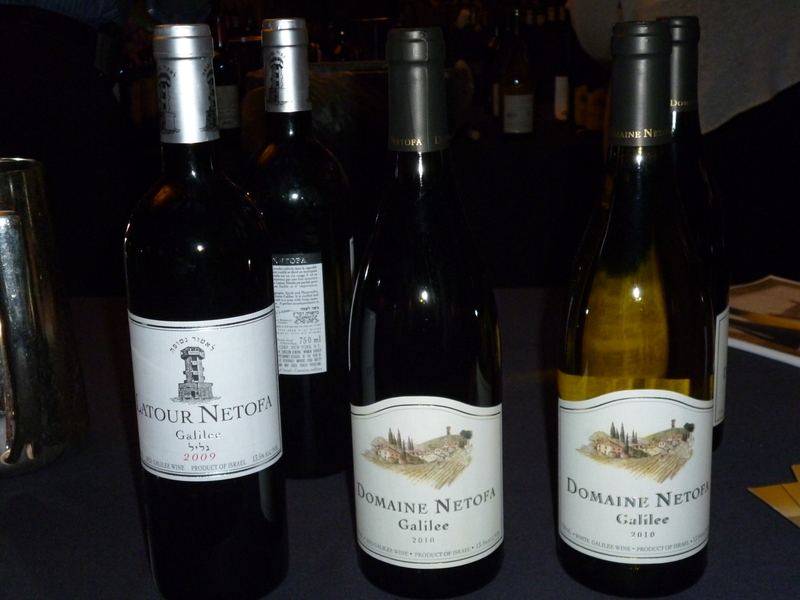 The next wine kosher event is the City Winery event, that is another kosher wine event that includes many wine importers and is on Monday March 31st. Last year the event was quite impressive, and I am sure it will be equally impressive this year. Once again Herzog is putting on its massive food and wine festival on February 26th, 2014 starting at 6PM. The festival is a great place to get to taste some of those wines that are either beyond your price budget, or hard to find wines, or ones that you pass by on the shelves because you just have no idea how good they are. They will be pouring more than 200 bottles of wines, so be sure to get there early, before the crowds show up. There will be a few new faces this year, with a couple of new wine makers showing up, and a few surprises (think new kosher wineries), from what I hear. Of course, there is also the food TO DIE for, from Chef Gabriel Garcia of Tierra Sur Restaurant, Zagat’s highest rated restaurant in a 40 mile radius, and his staff of insanely competent chefs! So please be sure to BUY your tickets here (coupon code is on the link). The wineries pouring will include; Flam Winery (newly Kosher), Tulip (also newly kosher), many wonderful French brands, Alfasi, Barkan, Baron Rothschild, Bartenura, Binyamina, Bokobsa, Capçanes, Carmel, Casa de Corça, Chateau Leoville Poyferré, Chateau Pontet Canet, Chateau Malartic La Graviere, Elvi Wines, Domaine du Castel, Domaine Netofa, Drappier, Flechas de los Andes, Gamla, Goose Bay, Harkham, Herzog Selection, Herzog Wine Cellars, Louis Royer, Morad, Pacifica, Psagot, Shiloh, Tomintoul, Walders, Weinstock Cellars & MORE! OVER 200+ WINES WILL BE POURED! Please note that the event is returning to Los Angeles again! The event this year will returning to Los Angeles for its third year!! You can once again drink and eat to your heart’s content, and then crash at one of the many rooms in the lovely Hyatt Regency Century Plaza! Herzog is working out a deal with the Hyatt and will hopefully have great deals for staying there on the website soon. Last year the event was a smash in the lovely Plaza Pavilion, whose name does not even begin to give the unique 9,000+ square foot space its due. The massive permanent tent is well-appointed, warm, and lovely to behold. Last year the event was a hit because the space was great and the smoke aromas from the chef’s smoker was outside of the event hall. In the end the event went off quite well and I look forward to seeing you all there again this year! Again, do not worry about missing out of the wonderful Tierra Sur Restaurant fare! Chef Garcia will be there with the rest of the crew and they will be serving up much of what they make and serve at the restaurant. Yes, Yes I left the best for last. Herzog is giving out a coupon out for 25 dollars off the ticket price – use the coupon MUSINGS. Every year we go and every year we are so excited because it gives us a chance to taste the wines and to see what to buy for the upcoming holidays. So grab you mouse and start clicking and we look forward to seeing you all the 2014 Herzog International Food & Wine Festival. 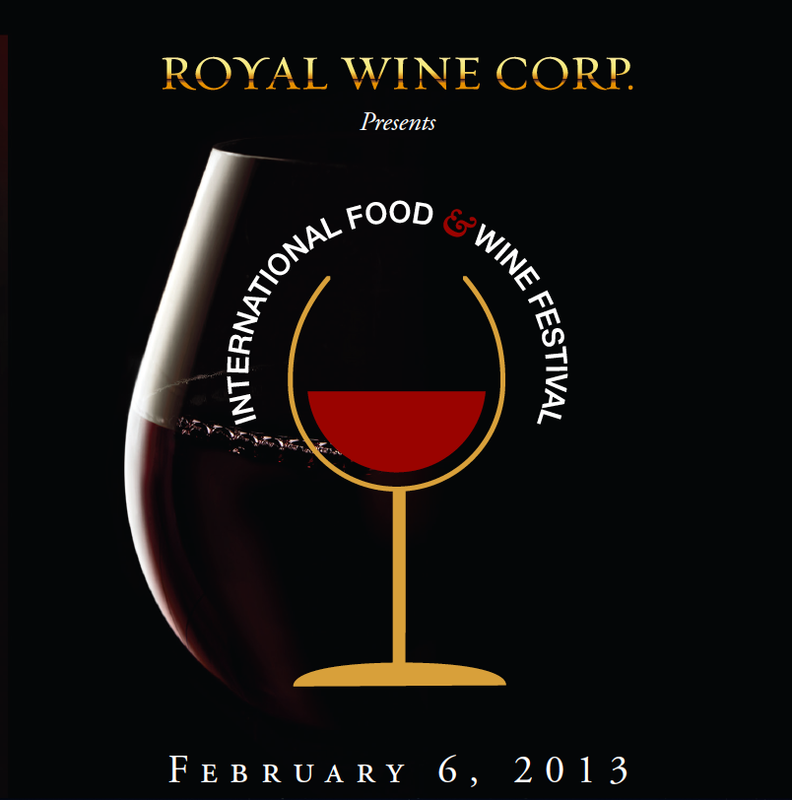 Once again Herzog is putting on its massive food and wine festival on February 6th, 2013 starting at 6PM. The festival is a great place to get to taste some of those wines that are either beyond your price budget, or hard to find wines, or ones that you pass by on the shelves because you just have no idea how good they are. They will be pouring more than 200 bottles of wines, so be sure to get there early, before the crowds show up. There will be a few new faces this year, with a couple of new wine makers showing up, and a few surprises (think new kosher wineries), from what I hear. Of course, there is also the food TO DIE for, from Mr. Aarons and his staff of insanely competent chefs! So please be sure to BUY your tickets here (coupon code below). The wineries pouring will include; Flam Winery (newly Kosher), Tulip (also newly kosher), many wonderful French brands, Alfasi, Barkan, Baron Rothschild, Bartenura, Binyamina, Bokobsa, Capçanes, Carmel, Casa de Corça, Chateau Leoville Poyferré, Chateau Pontet Canet, Chateau Malartic La Graviere, Elvi Wines, Domaine du Castel, Domaine Netofa, Drappier, Flechas de los Andes, Gamla, Goose Bay, Harkham, Herzog Selection, Herzog Wine Cellars, Louis Royer, Morad, Pacifica, Psagot, Shiloh, Tomintoul, Walders, Weinstock Cellars & MORE! OVER 200+ WINES WILL BE POURED! Please note that the event is returning to Los Angeles again! The event this year will returning to Los Angeles for its second year!! You can once again drink and eat to your heart’s content, and then crash at one of the many rooms in the lovely Hyatt Regency Century Plaza! Herzog is working out a deal with the Hyatt and will hopefully have great deals for staying there on the website soon. Last year the event was a smash in the lovely Plaza Pavilion, whose name does not even begin to give the unique 9,000+ square foot space its due. The massive permanent tent is well-appointed, warm, and lovely to behold. Last year the event was a hit because the space was great and the smoke aromas from Todd’s smoker was outside of the event hall. In the end the event went off quite well and I look forward to seeing you all there again this year! Again, do not worry about missing out of the wonderful Tierra Sur Restaurant fare! Todd will be there with the rest of the crew and they will be serving up much of what they make and serve at the restaurant. Yes, Yes I left the best for last. Herzog is giving out a coupon out for 25 dollars off the ticket price – use the coupon WINEMUSINGS. Every year we go and every year we are so excited because it gives us a chance to taste the wines and to see what to buy for the upcoming holidays. So grab you mouse and start clicking and we look forward to seeing you all the 2013 Herzog International Food & Wine Festival. You are invited to join Herzog Wine Cellars in celebrating the latest imported wines and nationally recognized cuisine at the 2013 International Food & Wine Festival! This is THE EVENT for experiencing a massive selection of imported wines and unbelievable cuisine prepared on site by the chefs of Tierra Sur. Alfasi – Barkan – Baron Rothschild – Bartenura – Binyamina – Bokobsa – Capçanes – Carmel – Casa de Corça – Chateau Leoville Poyferré – Chateau Pontet Canet – Chateau Malartic La Graviere – Elvi – Domaine du Castel – Domaine Netofa – Drappier – Flechas de los Andes – Gamla – Goose Bay – Harkham – Herzog Selection – Herzog Wine Cellars – Louis Royer – Morad – Pacifica – Psagot – Shiloh – Tomintoul – Walders – Weinstock Cellars & MORE! Taste the very latest bottling from these producers and meet the winemakers behind them – all in one place, for one day only! In addition to the impressive line up of wines and spirits, attendees will be treated to a mouth-watering selection of gourmet delicacies prepared by Chef Gabriel Garcia of Tierra Sur Restaurant, Zagat’s highest rated restaurant in a 40 mile radius! Don’t miss this unique opportunity to sample flavors from around the world and satisfy your taste for elegance!